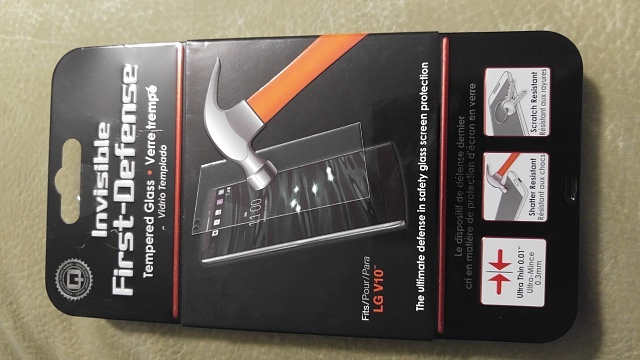 Best glass screen protector for V10? so many to choose from...what do you recommend? I have the Tempered Glass Screen Protector from Verizon. It's great! Covers the front facing cameras, but, that's not a problem. Cutouts for the front cameras. Went on absolutely beautifully. Wet and dry cleaning cloths included, plus sticky dust collectors for the final touch. And, it didn't interfere with my Spigen case--as sometimes happens at the edges. I bought an xtreme tempered glass. Has the cut outs for the 2 cameras. Bought it when they had 91% off, paid $2.70. Plus lifetime replacement for $0.99 shipping. Very pleased with it. I have the Verizon & Spigen ones that I have yet to install. Was hoping Zagg would come out with one. I hate putting these on. I have the Spigen. I haven't used a screen protector in years, but my last phone had a small scratch on it that you couldn't see unless the screen was off, and I didn't want to get a scratch on this one. I've been pretty happy with it. It doesn't have any problems w/ the case and the screen still looks amazing w/ it on. The Zagg store at the mall has gone to custom cutting everything, to reduce their inventory requirements. It's a real machine, programmed with everything, so it's not just the dude with scissors. Works well. So, you may not see a Zagg. They may leave this one to the stores. I am using supershieldz tempered glass. Really nice. I have the Zagg, Verizon and Spigen tempered glass sitting here and have not installed one yet on my V10. I love Zagg but think I'll try the Verizon first as I like the cameras covered. Does everyone like the cameras covered or not by their tempered glass protector? And besides, why are you so worried about the crappy front cameras but not the rear camera? On the subject of glass screen protectors. I've had 3 on my V10 and all have micro scratches or swirl marks on them that are only noticeable at certain angles in direct sunlight. Two Spigen brand ones, one pictured here, and one I got from a Verizon store, not the Verizon branded one all have some of this going on. The one from the Verizon store isn't nearly as bad as the pictured Spigen one. Anyone else notice this with theirs? Is this normal? And to clarify, it's not my phone screen itself. When there is no screen protector on it looks nothing like this. The Spigen one does not have the cutout for the cameras. You sure that's the Spigen pictured. What was wrong with the Verizon branded one? The one in the pic is the Spigen, the camera is not cut out. I never tried the official Verizon one. I went to a Verizon store in the mall last night and the one they had was not a Verizon branded one. The one I got last night has the same swirl marks, but not nearly as bad From what I can tell so far. This is one I got last night. I'm actually looking for a privacy screen... suggestions? Got it but it has camera cut outs. I would rather have the cameras covered. I'm anxious to read more in this thread, as I am getting micro scratches on my actual screen. I want to prevent this. Is there no such thing as a 2012-era screen protector (not glass)? I am going to try the Supershieldz one. 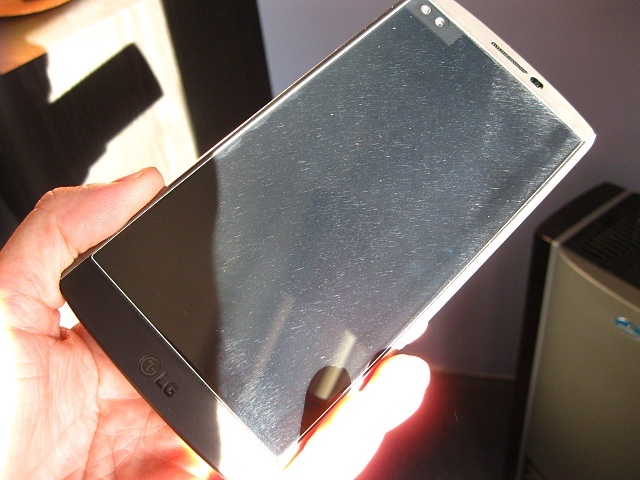 LG V10 coming to the UK at last! Speck Mightyshell Case for the V10 - Best case So Far ? I'm connected to my home computer wirelessly, but how can I see what the password is for the wi-fi?